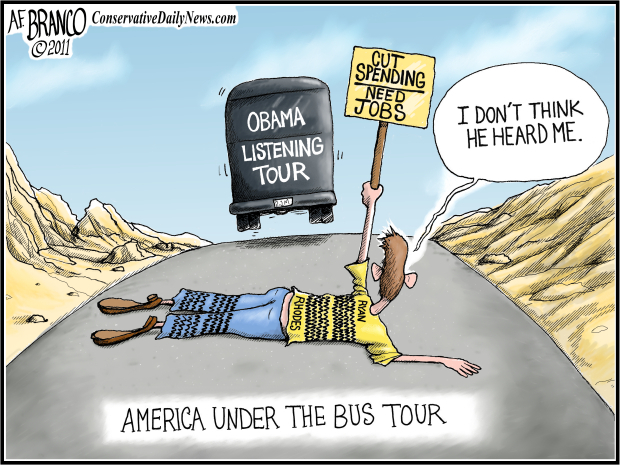 Tags: America Under the Bus Tour, Job Creation Bus Tour, Magical Misery Tour, Obama lies, Ryan Rhodes, Barack Obama, video, A.F. Branco, political cartoon, To share or post to your site, click on "Post Link". Please mention / link to the ARRA News Service. Thanks!